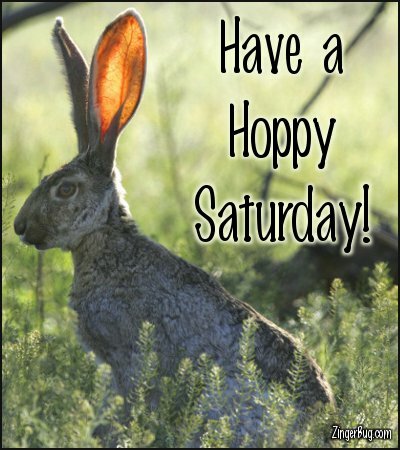 This section includes comments and glitter graphics to wish your friends a Happy Saturday! Saturday is everybody's favorite! Time to go out with your friends, catch a hot new band, go to a movie, head to the mountains, or just chill out and relax! Whatever your pleasure, these comments are sure to set the weekend off in the right direction! So before you head out for that great weekend getaway, be sure to tell all of your friends that you're thinking about them and hoping that they have a rockin' good Saturday! These images are free for your personal use through email, or on any social networking site or blog.